Cathay Pacific has announced that it will be trialing a Dine on Demand concept in Business Class on flights from Hong Kong to London Gatwick and Chicago. This comes after years of criticism surrounding Cathay’s Business Class catering – which many have criticised for its lack of flexibility and poor presentation. After all, competitors such as Qatar Airways have offered passengers freshly plated on demand meals in Business Class for quite a long time. This comes as Cathay’s second attempt to revolutionise it’s Business Class catering. 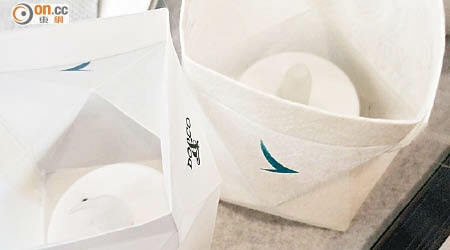 In 2015, Cathay trialled a concept designed by DO&CO – a renowned provider of in-flight meals. The concept involved making three drastic new changes. Trays were completely eliminated from the meal service, with cabin crew having to set trays and deliver main dishes by hand. This lengthened the service time drastically, as cabin crew now had to individually set tables and carry a bunch of main courses by hand. It didn’t help that the main courses were very, very heavy – making serving the meals a difficult task. A candle was given to each passenger, which had to be one of the dumbest ideas ever. The candles were fake – given that you can’t have a naked flame on a plane for safety reasons. It apparently made the cabin look like a “wannabe fine dining restaurant”. Starters were served on an “appetizer tower”, which was apparently very, very flimsy, and could fall over with even the slightest amount of turbulence. As you can probably predict, the meal service was an absolute disaster. The cabin crew had their work cut out for them trying to serve the meal, and the passengers would often have to wait for prolonged periods of time for their meals to be served. The nail in the coffin for the concept was that cabin crew did not receive any hands on training – making it difficult to execute. Not many details about the product itself have been unveiled, so I can’t comment on the concept itself. However, I’m confident that this product will be an absolute disaster if it wasn’t designed with the cabin crew’s point of view in mind. According to several sources, cabin crew are being sent back to the training mock-ups in order for extra training – which is reassuring. Previously, cabin crew were simply thrown into the deep end with very minimal instruction, so it’s nice to see that flight attendants are going to be a little less confused about how they’re serving their food. However, I still have my reservations about the entire concept. On long-haul flights, Cathay Pacific staffs their Business Class cabins (which have either 42 or 54 seats depending on the version of the aircraft) with around 4 cabin crew. That’s an average crew-to-passenger ratio of 1:12. Meanwhile, airlines such as Qatar Airways have a crew-to-passenger ratio of 1:7. That makes it significantly easier to execute a dine on demand service given that there will be more cabin crew on duty at any given time. Remember that the concept of an on-demand meal service is that passengers can eat whenever they want. This means that there will need to be more cabin crew on duty at any given time in order to execute a quick meal service in case a large number of passengers decide that they want to eat at a given time. However, as Cathay shows no signs of increasing the number of cabin crew serving the Business Class cabin, there will be less cabin crew on hand to prepare meals – making the service slower and angering more customers. On late-night flights, Cathay Pacific offers a “light meal” option. On a flight from Hong Kong to New York in Business Class last year, a bunch of passengers had woken up at similar times and decided that they wanted a snack. I remember how much the crew struggled to prepare the snacks for all customers. Imagine how hard it would be for cabin crew to serve a full meal to customers – resulting in a flustered crew and annoyed customers. Some cabin crew have already branded the new service concept as “die on demand”, and I can certainly understand why they feel that way. While this will no doubt improve Cathay’s Business Class soft product, it may end up counterproductive if not executed properly. While I’m hopeful that the new dining trial will end up well – I’m not exactly confident in the success of the trial.